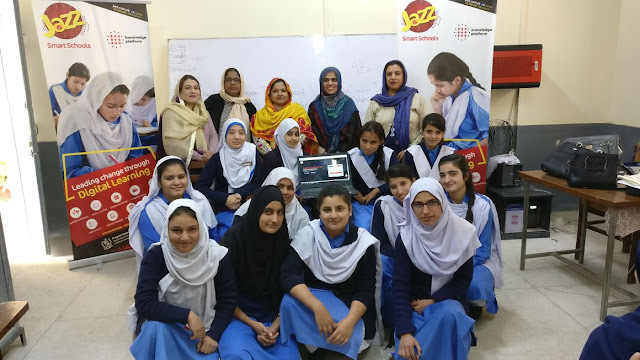 Islamabad : The ‘Jazz Smart School’ programme, an initiative of Pakistan’s leading digital company, Jazz, has been nominated for the prestigious GSMA Asia Mobile Awards 2018 under the category of ‘Outstanding Mobile Contribution to the United Nations Sustainable Development Goals (SDGs) in Asia.’ The award ceremony is scheduled to take place in the upcoming Mobile World Congress in Shanghai, June 27-29, 2018. This year 102 nominees have been shortlisted for 14 awards with Jazz being the sole representative from Pakistan. The awards are spread across seven categories: “Mobile Tech,” “Consumer,” “Fourth Industrial Revolution,” “Device,” “4YFN,” “Social Good,” and “Outstanding Achievement.”The GSMA Asia Mobile Awards are judged by more than 60 world-leading independent experts, analysts, journalists, academics and, in some cases, mobile operator representatives.